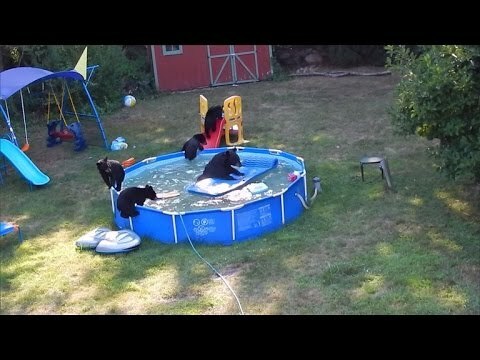 This weeks video captures a momma bear and her cubs taking over someones backyard pool in New Jersey.It's so cute and hilarious! Watch as the baby cubs run around, play, swim and ride down the slide. The best part is when kids of the young family start to get upset about the bears playing with their toys. It's adorable! Enjoy and have a happy holiday weekend. Black bears splash around in someones yard! 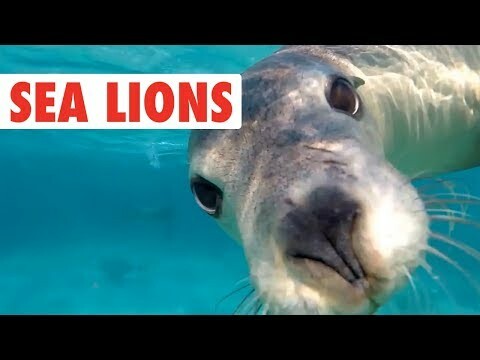 Here are some super funny clips of seals and sea lions!